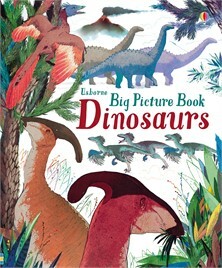 Discover the lost world of dinosaurs in this stylishly illustrated picture book. Each big picture scene shows dinosaurs that lived together during the same era, including old favourites like Stegosaurus and new discoveries like Zhenyuanlong. With lots of fascinating facts, and links to carefully selected websites to find out more.